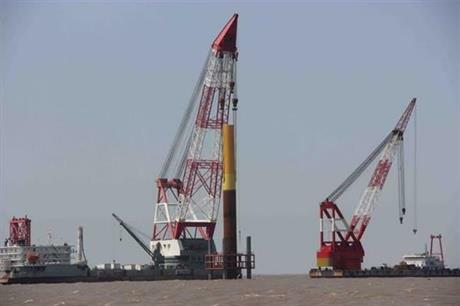 CHINA: The speed of offshore project constructionhas improved considerably since the release of the 2014-2016 development plan, said China's National Energy Association (NEA). But the country is certain to miss its 5GW target for offshore installations by the end of the year. A report published by the adminstration said two offshore projects included in the plan, with a combined 61MW in capacity, had been commissioned by the end of July. Nine projects totalling 1.7GW are under construction and a further six projects, adding up to 1.54GW, have been approved and are waiting to start building. However, the overall advancement of the offshore sector has been slow due to a number of factors, the NEA document said. Statistics compiled by the Chinese Wind Energy Association show the country had installed a total of 658MW of offshore wind capacity by the end of 2014. The national target for end-2015 of 5GW is now certain to be missed. In its report, the NEA calls on local governments to devise measures of their own to support, financially or administratively, the development of offshore wind.